Some frantic activity over the last few weeks trying to close things down for Release 2 Go-Live which is now scheduled for 27/06/2011. Release 2 has the addition of some core solution functionality including voice self service using speech recognition (ASR), Kofax non-voice channel integration and integration with SAP Web IC. We have developed a custom C# .NET application which provides the interfaces between the IVR applications (VoiceXML) and back end systems. Although we had performance tested them in isolation we hit a concurrency problem in final testing. Since we will process payments in Release 2 IVR applications we need to enable HTTPS on the connection between each IPCS (Page Collector) and the IVR (VoiceXML) application servers. Set it to the value of 65534 (decimal). The default is 5000. Set it to 60 or lower (decimal). The default is 240. We had been struggling with IPCS core dumps since Release 1 Go-Live and this was resulting in GVP ports getting stuck and needing to be taken out of service manually. The problem seemed to be related to prompt recording and playback in Virtual Hold (VHT). A long running ticket with Genesys support was eventually resolved this week after a couple of diagnostic builds provided by Genesys and tested by the team. Well done team – we got there in the end! 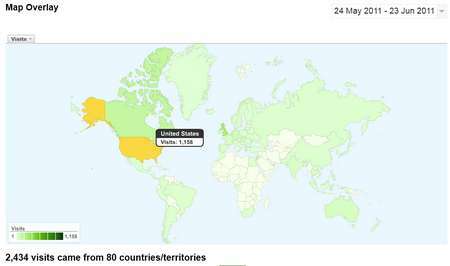 As I mentioned in a recent blog post for security reasons I do not recommend running Bitcoin clients online 24×7. However the net effect of this is a block backlog and longer time to clear new transactions. This happened to me earlier in the week when I managed to get 1000 blocks behind (not much really since 10 blocks per hour normally get created). When processing the backlog my client seemed to get stuck on one block for a long time and I was wondering whether this was related to the number of transactions over the last week (Mt.Gox saga!) and as a result a greater proof of work? If this is the case e.g. blocks with a large number of transactions incur a larger proof of work and hence backlog processing time, there may be trouble ahead! Imagine banks changing their clearing times due to transaction volume. 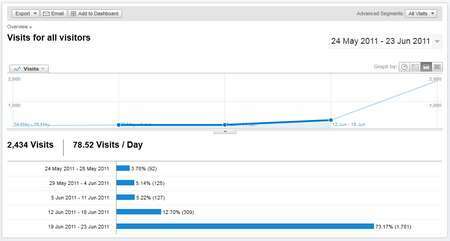 What a couple of Tweets can do to your web visits! I’ve posted a couple of articles about #bitcoins over the last 2 weeks and followed them up with a couple of Tweets. It is quite interesting what this has done to my blog web visits. Thanks for the support! I have been working on this article for a couple of weeks now and have not finished my research. However, given the latest developments I feel as though I should share my initial findings with you ASAP. I have my own Bitcoins (oops – that breaks one of my rules) and hope that the advice at the end of this post will help the Bitcoin community in general. Firstly, let me say that I am not a hacker and that I have no intention of perusing any of this other than in an academic nature! Given the “theft” this week of 25,000 Bitcoins ($500K) from someone’s wallet this week (http://thenextweb.com/industry/2011/06/15/close-to-us500k-stolen-in-first-major-bitcoin-theft/) I started to ask myself how secure is the Bitcoin system? Lets work through some scenarios …. Here I select address “1GQnMbeEmUA9g6iypZYhUg4PKsZEswzAYy” as the notional victim as they seem to have 6592 lovely Bitcoins for me to steal! THREAT 1: The open and distributed nature of Bitcoins means that everybody can read and analyse the block chain as does the Bitcoin Report. This is equivalent to banks giving out details (anonymously) of everybody’s current balance! As you can see I can quickly find a lot of information to tie with a Bitcoin address in order to launch a targeted attack. I could take it further via email and Twitter tweets to try to get an IP address for the conversation, just in case they were running the Bitcoin client on the same machine as they interact with me. Let’s not forget that when you receive an email you receive more than just the message. An email comes with headers than contain information that can tell where the email was sent from and possibly the IP address of the sender. 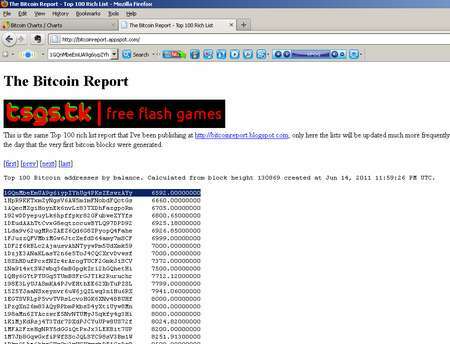 THREAT 2: Bitcoin addresses and the Internet allow me to link real people to Bitcoin wallets. Yes, I know that you can have multiple addresses per Bitcoin client install but human nature means in reality that only 1 address will be used to receive transactions. With Bitcoins, this information is the equivalent of somebody’s bank account and sort code which we all know that real world hackers are very interested in …. Note: While the last “balance” is the accurate number of bitcoins available to an address, it is likely not the balance available to this person (victim!). Every time a transaction is sent, some bitcoins are usually sent back at a new address makes the balance of a single address misleading. THREAT 3: There is a lot of useful information that can be determined through analysis of the open block chain! 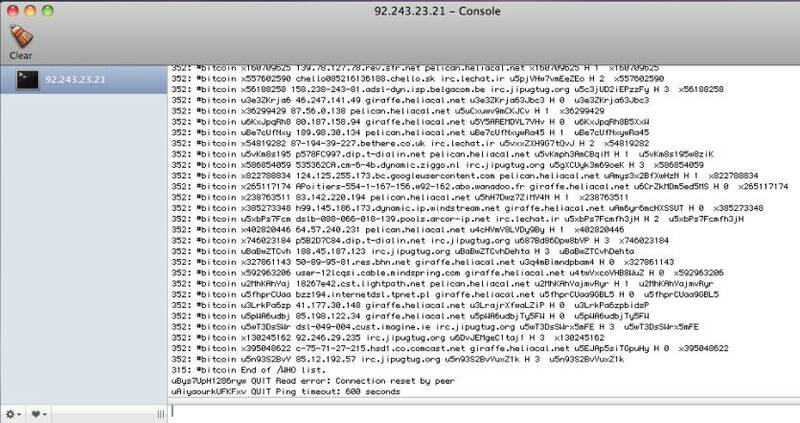 Previously I mentioned one possible way to try to find the IP address of the machine where a Bitcoin client may be running (and hence where a wallet could be located) in order to launch a targeted attack. However, the Bitcoin architecture is based on Peer to Peer (P2P) technology and all P2P networks have a bootstrapping problem since without central servers, nodes (Bitcoin clients) on the network need to be able to find each other. Each Bitcoin client connects to IRC and stays connected. Using IRC messages the client connects to found peer IP addresses on port 8333. Once connected to the Bitcoin network, other Bitcoin nodes (machines) send messages containing IP addresses (and ports) of other nodes they know about. 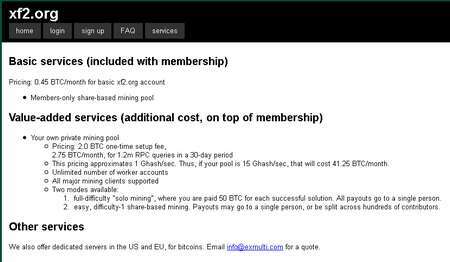 Internally Bitcoin client communicate with each other and broadcast new nodes via the Bitcoin protocol on port 8333. However, they are always online in IRC. The official Bitcoin source code is available here (https://github.com/bitcoin/bitcoin) and an open source Java client is available here (http://code.google.com/p/bitcoinj/). Using a standard IRC client (mIRC, KVIrc, XChat, Colloquy etc.) it is very easy to connect the Bitcoin bootstrapping IRC channel. The bootstrapping IRC server is LFNet (irc.lfnet.org) and the channel is #bitcoin. The username and nickname are initially set to a random number prefixed with “x” e.g. “x781631660”. The nickname is later changed to an encoded IP address prefixed with “u” based on the client’s external IP address as seen by the IRC server prior to performing a “JOIN” then “WHO” on the #bitcoin channel. Of course the decode function is also available in the source code so we can turn any nickname back into an IP address. In fact, this is exactly what a Bitcoin client does – it sits there listening for “JOIN” and “WHO” messages and if the message relates to a nickname prefixed with “u” it decodes the nickname to get the external IP address of the Bitcoin client. THREAT 4: Based on the source code of the Bitcoin client I could create a “spoof” Bitcoin node which joins the network and then waits for connections from other (genuine) Bitcoin clients. Since the connection is two-way I am then effectively connected to a machine which in all probability also has a Bitcoin wallet stored on its hard disk. If I could exploit this connection in some way (like a good old fashioned TCP buffer overflow exploit – Intrusion.Win.NETAPI.buffer-overflow.exploit) I could take control of the machine and copy their wallet. This is a bit like the ATM network being connected via IRC! But guess what – life is even easier for a thief who is trying to find the IP address of all machines where a Bitcoin client may be running (and hence where a wallet could be located). This is because each Bitcoin client stores the IP address of all previously discovered peers in a file named “addr.dat” and the chances are that Bitcoin will be running on each of these machines from time to time and listening on port 8333. THREAT 5: Based on the source code of the Bitcoin client I could read all of the IP addresses stored in the address database and then sequentially try to connect to the Bitcoin client likely to be running on each machine using port 8333. IMHO it is only a matter of time before such an exploit becomes reality. I am still researching further into this. The JSON-RPC interface on port 8332 is the biggest threat since there is a “nice” method called “sendtoaddress”. The interface is secured in various ways and the TCP bind address is set to the loopback address unless the option “rpcallowip” is set. If it is set then the bind is on any IP address which means that a physical connection IS possible. There are additional checks behind it such as authentication (including deterring brute-forcing short passwords less than 15 characters) but BEFORE the authentication is checked, the HTTP headers are mapped. The standard Bitcoin protocol port on 8333 is another threat and implicit in the P2P architecture. There could be the possiblity for SOCKET exploits here trying to either shell out to copy the wallet or even access the contents of the wallet in memory e.g. 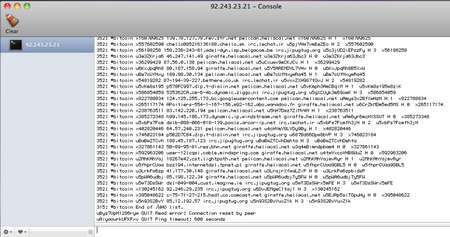 using Bitcoin commands “getdata”, “getblocks”, “getheaders” with invalid payloads to reveal the contents of the wallet and/or call “SendMoneyToBitcoinAddress”. Having been through the source code in some detail I have now convinced myself that the code is written in a very professional manner and that all reasonsable steps have been taken to protect the interfaces exposed by the Bitcoin client. This does not of course mean that bugs cannot introduce vulnerabilities in the future versions. On the balance of probability I think that an exploit would be as the result of standard Remote Access Trojans (RAT) using the IP addresses exposed as an inherent part of the P2P network and the IRC bootstrapping process. Therefore, I would still recommend running with the “noirc=1” option and only connecting to trusted peers. THREAT 6: Running the Bitcoin client permanently in the background is an inherent part of the Bitcoin Peer to Peer (P2P) architecture. There is a financial incentive to do so in terms of Transaction Fees. Therefore, many people leave the machine hosting their Bitcoin client (and also their wallet) running 24 hours a day. 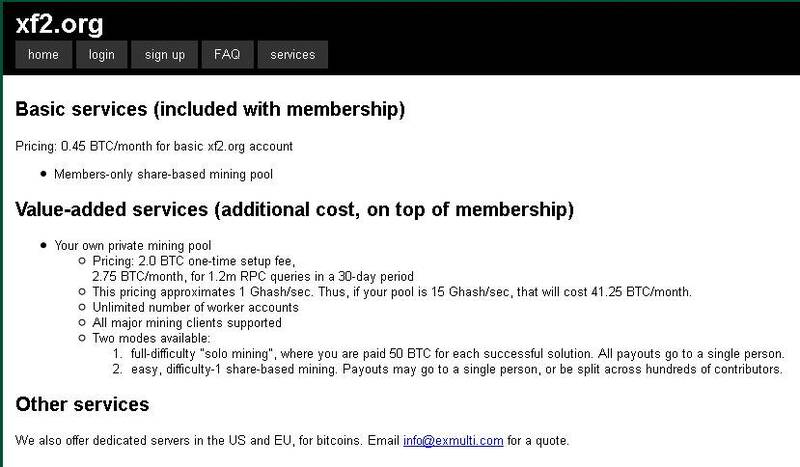 This is even more so if they are Bitcoin mining at the same time. This means that their wallet is also open to attack 24 hours a day …. Please see the end of this post for ways to protect your self from the threats outlined above! THREAT 7: Everybody knows that the weak point in the system is an individual’s wallet which is stored unencrypted on the hard disk where the Bitcoin client is installed. On a Windows 7 install this is located in C:\Users\<user>\AppData\Roaming\Bitcoin\wallet.dat. Steal this file and steal the contents of the wallet. THREAT 8: Although it is possible to have multiple wallets, human nature again means in reality most people only use a single Bitcoin wallet rather than keeping a separate, more secure and importantly offline deposit wallet which inherently is less prone to theft. Access to copy (steal) the wallet can be achieved by getting the user to download and install some malicious application such as the notorious Bitcoin wallet backup utility or something guised as a Bitcoin Mining application …. THREAT 9: In the rush for gold everybody is keen to download and install the latest and best Bitcoin miner software without even thinking twice as to whether it could contain a Trojan. Alternatively, I could take remote control of the machine running the Bitcoin client software covertly using standard Remote Access Trojans (RAT). THREAT 10: Anonymity. At the end of the day, as a decentralised network with no authority and no identities attached to the addresses used to send and receive Bitcoins, once Bitcoins are stolen they’re as good as gone. Although there is an alerts mechanism built into the Bitcoin client is does not seem to be used for much now. THREAT 11: The Bitcoin network is open to attack in general. The longest block chain not only serves as proof of the sequence of events witnessed, but proof that it came from the largest pool of CPU power. Effectively, the majority decision is represented by the longest chain, which has the greatest proof-of-work effort invested in it. Proof-of-work is essentially one-CPU-one-vote. Therefore, so long as a majority of CPU power is controlled by nodes that are not cooperating to attack the network, they’ll generate the longest block chain and outpace attackers. Hence, the Bitcoin system is secure as long as honest nodes collectively control more CPU power than any cooperating group of attacker nodes. Given the vast amount of hardware being thrown into Bitcoin mining, what happens to this hardware once mining is no longer cost effective? Could this redundant hardware be pooled into an attack such that honest nodes are overrun by attacker nodes? Hopefully this post has given you food for thought and you will now take the necessary actions to secure your wallet(s)! I hope this post has been of some use to you. If my blog has been hit by a DDoS attack you know I have been talking too close to the mark! Backup your wallet, sleep well and keep trading! Yes I know this breaks one of my recommendations but I had already published this address! Don’t worry, only my daily working wallet is online. Bitcoins – A Crypto Currency for a Social World?! 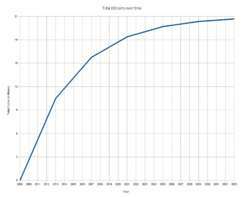 One key to the Bitcoin currency is the limited and predictable rate at which coins are added to the system. This control is achieved by tying the generation of one block of Bitcoins to the solving of a computationally difficult problem: solve the problem, get a block of Bitcoins. 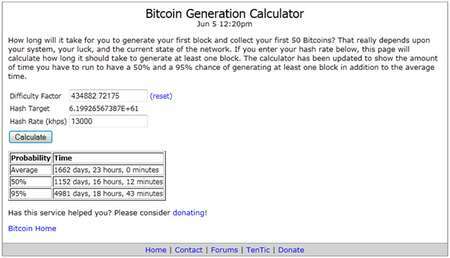 Generating (solving) a block results in a reward which is currently 50 Bitcoins (BTC). The distributed Bitcoin network adjusts the difficulty of this problem after every 2016 blocks of Bitcoins are generated. The difficulty is adjusted so that on average, 6 blocks are generated every hour by users around the world. The incentive to devoting your computer’s power and time to solving the difficult computational problem is that the user whose computer solves the problem (e.g. block get accepted by the network) gets awarded that block and the 50 BTC reward. Mining Bitcoins is equivalent to finding a number that hashes (using SHA-256) to a value that is less than a particular 256-bit target. The target is a 256-bit number (extremely large) that all Bitcoin clients share. The SHA-256 hash of a block’s header must be lower than or equal to the current target for the block to be accepted by the network. The lower the target, the more difficult it is to generate a block. Adjusting that target value is how the distributed Bitcoin network adjusts the difficulty of block generation. Moving the target lower makes for a more difficult computational problem: it will take more random tries to find a value whose hash is less than the target. Each hash basically gives you a random number between 0 and the maximum value of a 256-bit number (which is huge). If your hash is below the target, then you win. If not, you increment the nonce (completely changing the hash) and try again. Because nodes have no obligation to include transactions in the blocks they generate, Bitcoin senders may voluntarily pay a transaction fee. Doing so will speed up the transaction and provide incentive for users to run nodes, especially as the reward per block amount decreases over time. Nodes collect the transaction fees associated with all transactions included in blocks they solve. Mmmm … seems like a long time. However, it is important to realise that block generation is not a long, set problem (like doing a million hashes), but more like a lottery. There’s no such thing as being 1% towards solving a block. You don’t make progress towards solving it. After working on it for 24 hours, your chances of solving it are equal to what your chances were at the start or at any moment. With this in mind I started mining (just in case I got lucky). Remember 1 block currently gets a 50 BTC reward which (at the time I started) could be worth 50 x $30 = $1500! On my Windows workstation I get 1.3 Mhash/s e.g. I generate 1.3 million hash attempts per second trying to solve the current target and get a block accepted by the network. 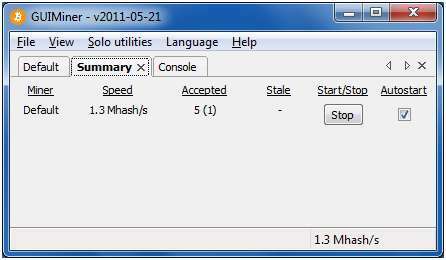 On my MacBook Pro I get 8.0 Mhash/s. There is a difference between the two: one uses CPU hashing and the other uses GPU (graphics card) hashing but I won’t bore you with the details here. Straight away I struck fool’s gold! I checked the debug log for my Bitcoin client and there is no mention of “generated” (which there should be). DiabloMiner on my MacBook equally has not produced anything so far (which is to be expected). 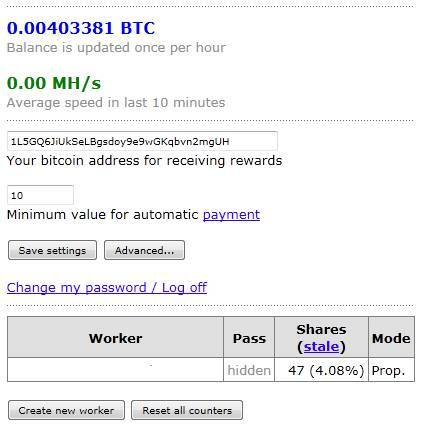 Mining in a pool has resulted in 47 shares (shares of a block reward) worth 0.004 BTC! All of this will have an effect on the “markets” (http://bitcoincharts.com/markets/) which is what really interests me.